William J. Mann serves up a delicious plate of M’s in his new book, Tinseltown. I devoured every morsel of the buffet. The unsolved murder of director William Desmond Taylor in 1922 is one of the reasons I stepped back into the silent film era — and stayed! It’s the classic whodunit. Who did it? Was it Mary Miles Minter? 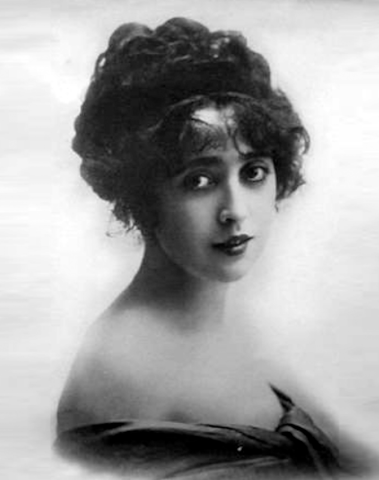 Mabel Normand? Charlotte Shelby, Mary’s mother? Starlet Margaret Gibson? His valet? Drug dealers? Gangsters? Bill Mann, one of my favorite authors of old Hollywood, thinks he has solved the mystery. You’re going to have fun with this one, friends! 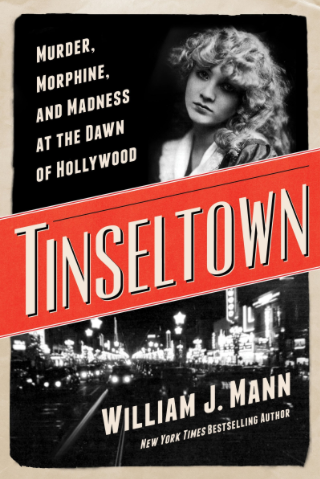 Tinseltown: Murder, Morphine, and Madness at the Dawn of Hollywood reads like a novel, yet the dialogue is not drawn from the author’s imagination. The words between the quotation marks came from the mouths of those who spoke them. Bill reconstructs the riveting case using primary sources — including witness testimonies from police records, coroner’s inquest files, newly uncovered FBI records, and court records and transcripts. Running alongside the murder mystery are complex and interesting portraits of legends like Adolph Zukor and Will Hays, the first czar of Hollywood. 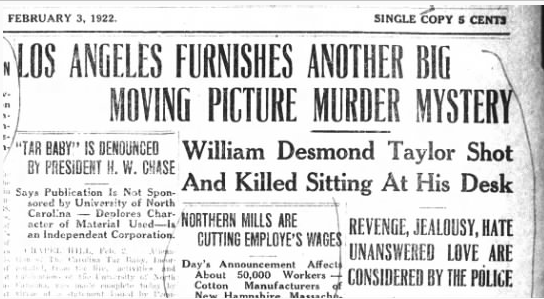 So who killed William Desmond Taylor? Listen in on my conversation with Bill and find out. Michael: I first started reading your books in the 1990s. I must have read The Men From the Boys when I was coming out or shortly after. Then I read your novel around the “afterlife” of Florence Lawrence. 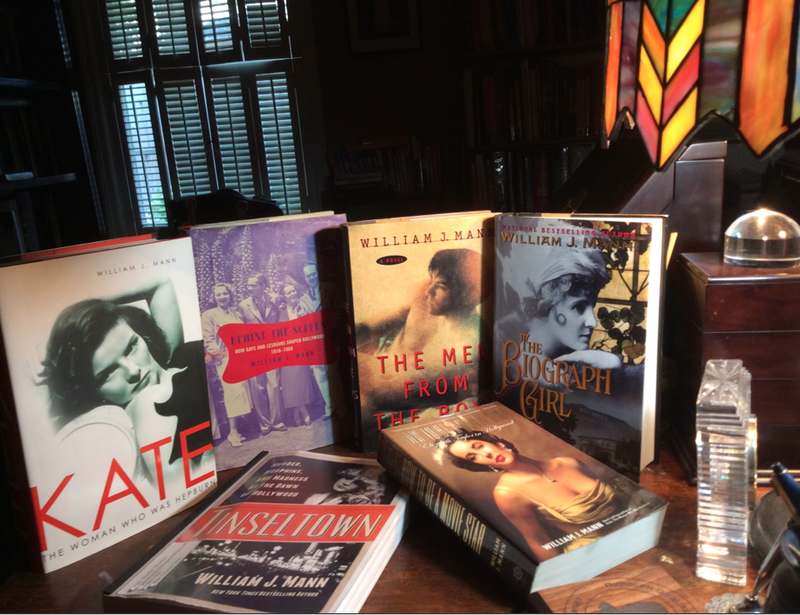 Two of my favorites are your William Haines biography and Behind the Screen, about gays and lesbians in Hollywood. I’m intrigued by your body of work and the range you’ve covered. Most writers find an era or genre, but you’re all over the place. What do you look for you when you’re selecting a subject to write about? Bill: It’s always about the story. Is it a good, compelling story? Can I say something new? I think being a novelist helped me discern the story within a life or within a topic. 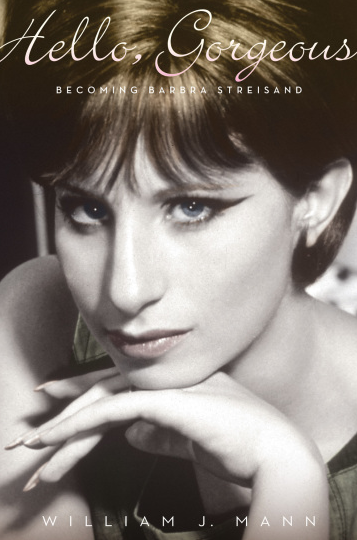 For example, when my editor wanted me to write about Streisand, I was reluctant. Not really my thing. But when he suggested we call it “Becoming Barbra” that hooked me — because I could see the story, of an unknown, unlikely kid becoming a huge star in just five years time. So it’s always Story, Story, Story for me. Michael: So let’s talk about Tinseltown: Murder, Morphine, and Madness at the Dawn of Hollywood. 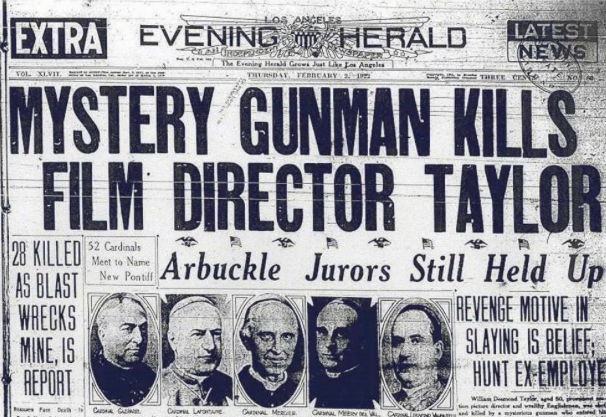 After over 92 years of wondering, do you really think you’ve solved the mystery of who murdered William Desmond Taylor? Bill: Would my evidence stand up in a court of law? I don’t know. After nearly a century, so much of the evidence I present is necessarily circumstantial, since so much physical evidence is gone. I was fortunate to find FBI records —not on the Taylor case per se, but on some of the figures around him, which helped me to draw some key conclusions. Also, the fact that so many newspapers are now digitized I was able to find proverbial needles in the haystack that allowed me to make connections. There will be people who disagree with my conclusion, and that’s okay. I have always said that I submit Tinseltown into the lore of “Taylorology” and will let people draw their own conclusions. No one really wants cold cases solved. That strips away so much of the fun for armchair detectives. There was a lot of pushback to the recent claims that the identity of Jack the Ripper was discovered. But I do think that my solution is the only one that doesn’t contradict other available evidence and the only one based on surviving documental evidence, even if it’s circumstantial. That’s really important—to show where and how you drew your conclusions. I have got something like 800 footnotes and will be posting a lot of the primary documents I used on Taylorology, courtesy of the really brilliant Bruce Long, who more than anyone has kept the taylor case alive. Michael: In the history of Hollywood, has there ever been anything like the murder of a leading director, a mystery that has gone unsolved for so long? The one that comes to mind is the mystery around the death of Thelma Todd. Bill: I am very intrigued by the Todd case, but even that wasn’t as huge as the Taylor case. The reasons are a few: one, Taylor was really very prominent, a key figure high in the industry with the support of bigwigs like Zukor and Lasky. Two, the scandal ensnared so many other leading figures in the industry. Three, and most important, it occurred right at the moment when the stakes were so high for the film industry, when not only the threats of bad publicity and censorship hung over the movies but also federal regulation. That’s why it was so important to contain the fallout from all the scandals of the 1920-1923 period, and Taylor’s death was, in my opinion, chief among them. Michael: Why are we still interested in a story that happened so long ago? Bill: I think we’ll never tire of whodunits. And the characters in this story are just so complex and fascinating. Mabel Normand—I fell in love with her. So strong, so resilient, so full of integrity, so ahead of her time. 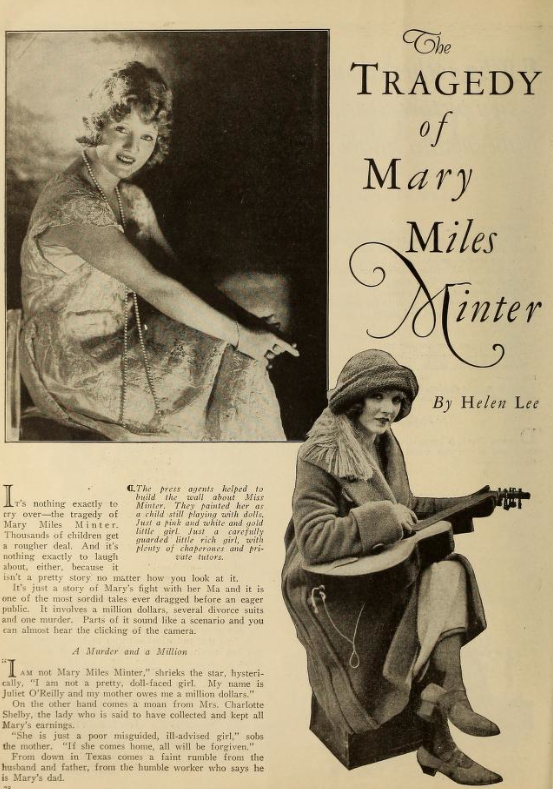 Mary Miles Minter, so young, so deluded, so abused, so tragic. Margaret Gibson, so determined, so ambitious, so cunning. And Adolph Zukor— he created the movies as we know them, and he always so desperate not to lose everything and go back to being penniless and irrelevant. Will Hays, too, really fascinated me. Hardly the prude and puritan he’s long been considered, he was actually quite pragmatic, progressive, and nonjudgmental. Michael: How hard was it to sell this type of idea to your agent / publisher? Bill: I thought it might be terribly difficult. After chronicling three huge names — Hepburn, Taylor, Streisand — this was a bit of a departure and I know how publishing works. They always want an easy sell. So I worked on the idea for several years before I sold it. I’d stay up at night when I was tired of writing about divas all day. In that way, I had the story all fleshed out, and to my great surprise and pleasure, we had several editors bidding when we finally offered it. The editor I ended up with, Cal Morgan, at HarperCollins, is a real advocate of early film studies and popular culture histories. He’s been fantastic. 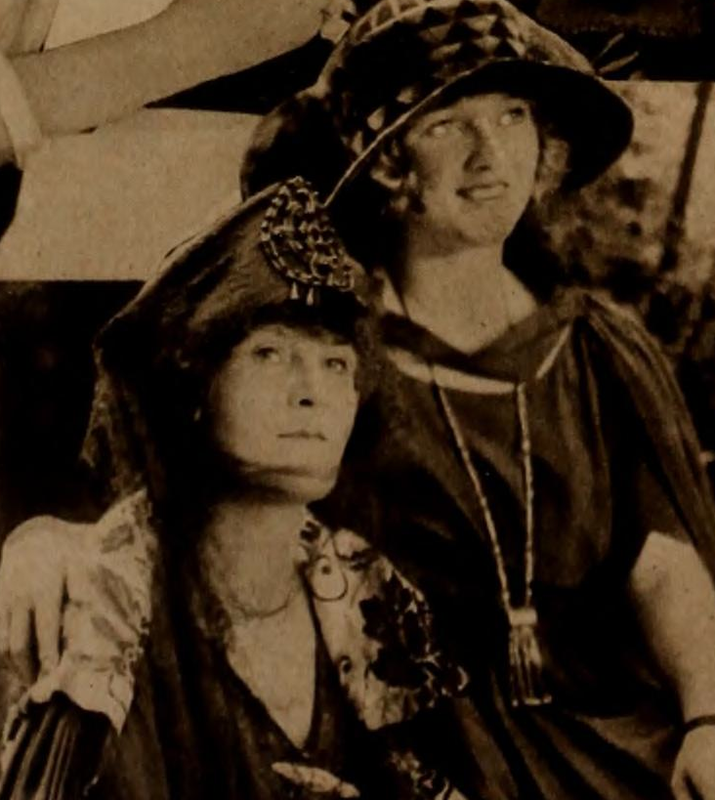 Michael: When I interviewed those still left from the silent film era, most believed that Taylor’s murderer was Charlotte Shelby, the mother of actress Mary Miles Minter. She was an easy scapegoat, not the most loved in Tinseltown. It doesn’t sound like, after reading Tinseltown, that Mary ever referred to her mother as Mommie Dearest. In the long line of stage mothers, was she really that bad? Does she get a bad rap from film historians? Bill: I think she was pretty monstrous to Mary. Some of the things I write about in Tinseltown—like burning Mary’s doll when she was a child—are just shattering. But I think we also have to respect her professionally. Pretty much all on her own, Shelby took on the system and won—a rare example of a woman succeeding in an industry dominated by men, and winning on her own terms at that. A strong, forceful woman is always going to attract more enemies than a strong, forceful man. Michael: The murder of Taylor impacted so many lives. Besides the obvious, Taylor himself, who, in your opinion, ended up the biggest loser in the whole Taylor murder saga? How and why? Bill: Well, so many suffered, but I would say it was Mary who really ended most tragically. Obsessive, a bit of a manic-depressive, terribly self-absorbed and delusional— but after her horrible childhood and the abuse she endured in the press, you can understand how she ended up that way. Her life after Hollywood was so sad. Taylor’s death followed her right until the end of her life. Michael: Another intriguing part of Tinseltown revolves around censorship and the influence of the religious right on the film industry during those days. It seems that, every so often, this influential group latches onto a cause and creates headlines. I think of abortion and gay rights in our day, but in the early 1920s, it was the content of movies, movie stars, and bathtub gin, wasn’t it? 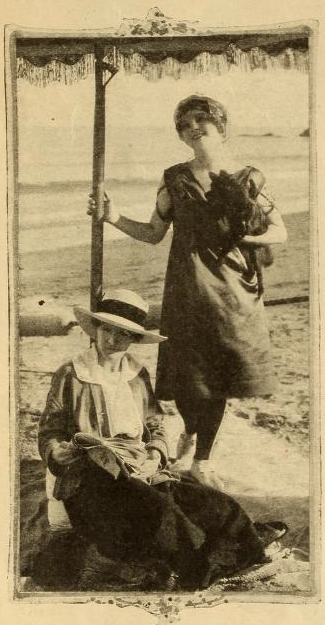 Bill: In many ways, Hollywood of 1922 reminded me so much of Hollywood in 2014. Stars becoming better known for off-screen exploits than their on-screen work; religious conservatives were decrying “Hollywood values” and the effect they were having on the nation; companies were buying each other up; and the government was trying to get a cut from all that cash. I think the reformers who were trying to censor movie content and censure star behavior recognized the secular, modern world that Hollywood was creating, and they were trying to stop it. Of course, the influence of the movies couldn’t be stopped. So much of the public in those pre-mass-market days hadn’t seen beyond their local communities. But Hollywood opened a window for them and after seeing the big wide world, they weren’t ever going back to more provincial views. I think an analogy can be made to movements today that are trying similarly to stuff the genie back into the bottle. Just ain’t gonna happen. Michael: I want to touch on several of your other books. 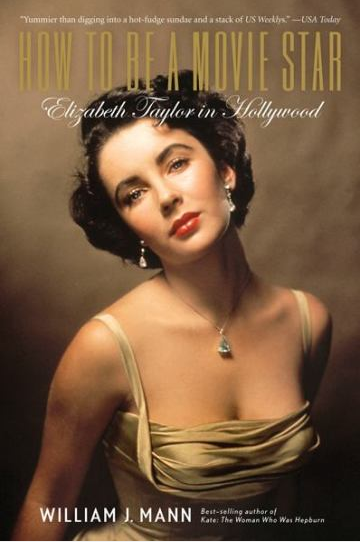 Was How to be a Movie Star: Elizabeth Taylor in Hollywood the first biography that you wrote about a living person? How does that compare to writing about someone, say William Haines, who had already lived their life? Bill: With Elizabeth, her people—her friends and family—were very cordial about me writing the book; some spoke to me; some did not. But Elizabeth was too ill at that point to cooperate. It does make it more sensitive writing about someone who’s still alive. Part of the reason I loved researching and writing Tinseltown was because I did not have to beg or cajole anyone to talk to me. They were all dead. 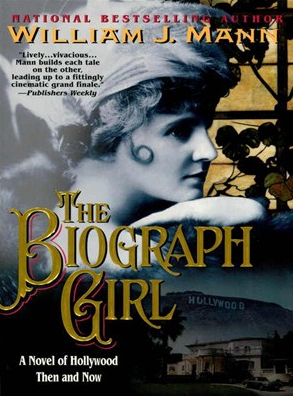 Michael: I thoroughly enjoyed The Biograph Girl: A Novel of Hollywood Then and Now, which has Florence Lawrence, filmdom’s first movie star, who supposedly died in 1938, still alive at 106. Where did your inspiration for that book come from? Bill: It was just a wild idea I had one day. 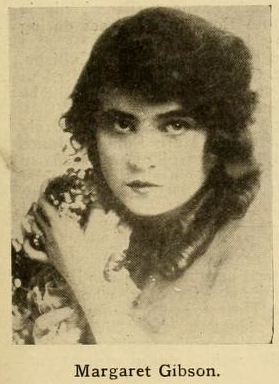 Florence Lawrence had always fascinated me. She was so huge, so adored—and then so utterly forgotten. 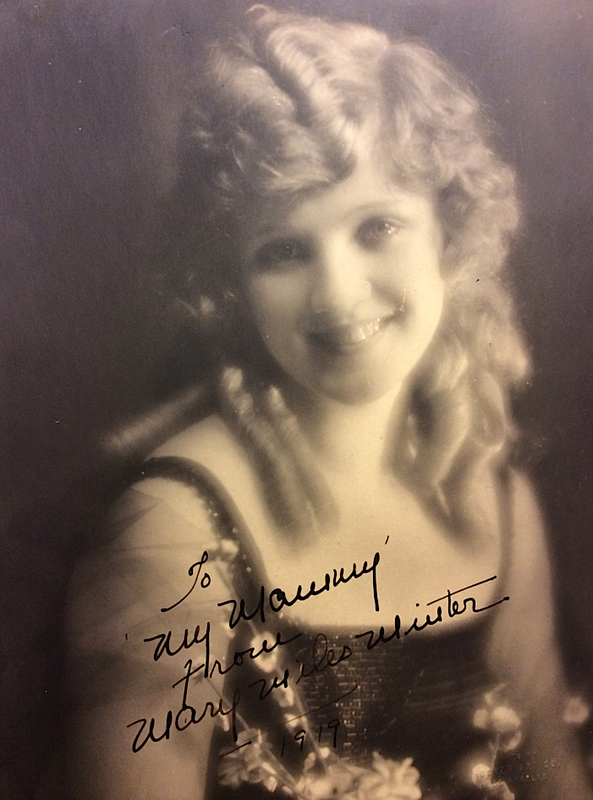 She had started this whole crazy business of stars and celebrity — well, with some help from Carl Laemmle who rigged up the first movie-star publicity stunts for her. I just felt she ought to get one more shot at fame. Michael: You dedicated The Biograph Girl to your mother and father who bought you your first typewriter when you were only nine. Were you writing then and how influential were they in your development as a writer? Michael: You always credit your husband, Tim Huber, in your work. How interested is he in old Hollywood? Does he share your interest? Michael: How and when did you first become interested in Hollywood of the silent film era? Were there writers whose books inspired you back then? Who and which ones? Bill: When I was a kid, those of us who loved silent film and early sound film really struggled to find anything to increase our knowledge about these wonderful movies, which were almost completely inaccessible. So I devoured the books of Kevin Brownlow and Anthony Slide. I was also really fascinated with the very early films, and had a correspondence with Charles Musser, whose research into the nickelodeon era was so groundbreaking. I remember him being surprised that this teenager was so interested in Edwin S. Porter and Georges Melies! Michael: What’s next for you? Are there any projects in the works that you can tell us about? Bill: My next book is my first non-Hollywood project. It’s called Alice & Eleanor: The Wars of the Roosevelts, about the rivalry between those two first cousins, one Republican, one Democrat, one beautiful, one plain, one gregarious, one shy—and both brilliant. But what I’m discovering is that Washington and Hollywood aren’t really all that different. They’re both about the creation and merchandizing of public images. That book will be out in 2016, hopefully in time for the presidential campaign. Bill and I never got around to discussing who committed the murder. That, my friends, is up to you to discover for yourselves!